Erel plastic surgery offers high quality and low cost hair transplant in Turkey. 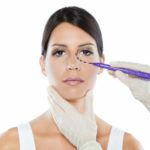 Our English speaking plastic surgeons are well trained, experienced and well established in their field. Under local anaesthesia hair transplantation procedure is performed safely and more economically in Turkey. The preferred technique is FUE technique. In FUE technique, hair follicles are extracted one by one from the back of the hairy scalp. For extraction, we use microsurgical punches having diameters of 0.7 mm. Thus, no stiches are used in the donor region and no scar is left. Extracted grafts include 1-2 hairs and 3-4 hairs.The procedure is done under local anesthesia. 4000 graft implantation lasts 5-6 hours. 4000-4500 grafts get about 9000-12000 hairs since one graft usually contains 2-3 hair follicles. Special attention is given to the direction of hair growth, hair texture and aesthetic planning in order to mimic nature. Hair transplantation is also very useful to camuflage the scars, especially in the scalp, such as traumatic scars or widened scars developed after a facelift operation. At this situations, FUE is the recommended technique.Turkey is one of the top destinations for health treatments abroad. If you are looking for affordable prices for hair transplantation and combine treatment with holiday, Istanbul is the right choice for you.